acero knife is designed to make simple work of cutting through steaks and chops. a stainless steel end cap provides excellent balance and control. 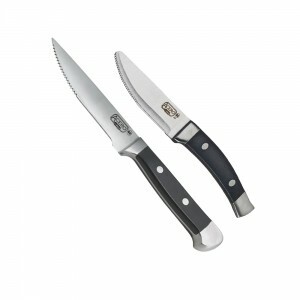 this heavy weight knife is a Winco exclusive and is a must-have on the tables of any steak house. 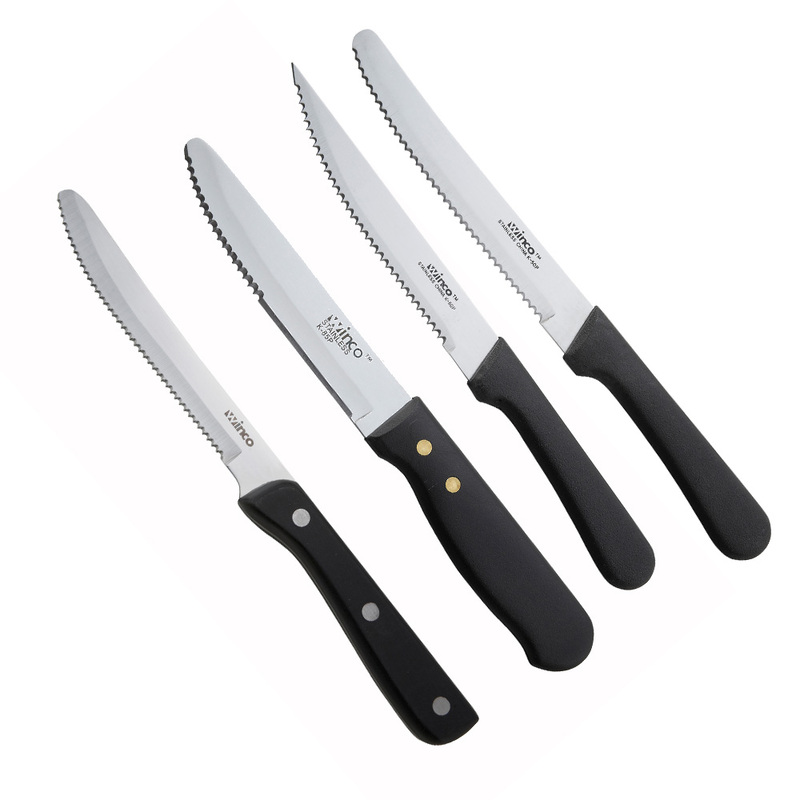 Categories: ACERO STEAK KNIVES, FLATWARE & STEAK KNIVES, FRONT OF THE HOUSE, KITCHEN - PREP & COOK, PROFFESSIONAL CUTLERY, SMALLWARES, Steak Knives. Categories: FLATWARE & STEAK KNIVES, FRONT OF THE HOUSE, KITCHEN - PREP & COOK, PLASTIC HANDLE KNIVES, PROFFESSIONAL CUTLERY, SMALLWARES, Steak Knives. 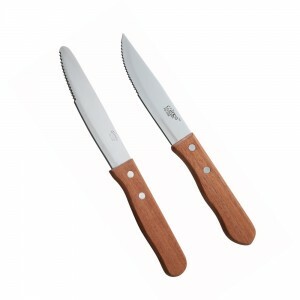 Categories: FLATWARE & STEAK KNIVES, FRONT OF THE HOUSE, KITCHEN - PREP & COOK, PROFFESSIONAL CUTLERY, SMALLWARES, Steak Knives, WOODEN HANDLE KNIVES.